able to work within the establishment. The son of Henry and Eleanora Brougham, landowners in Westmorland, he was born in Edinburgh, entered Edinburgh University at the age of 14, and while still a student presented a paper on light, to the Royal Society. In 1800 he joined Edinburgh University’s faculty of advocates a body of independent lawyers who have been admitted to practise as Advocates before the Courts of Scotland. In 1802 he and a few friends founded the journal Edinburgh Review. He developed radical political opinions and many of his articles dealt with social reform, and became politically influential. Brougham wrote An Inquiry into the Colonial Policy of the European Powers. In 1803 he moved to London and became friends with a group of radicals that included Thomas Barnes, William Hazlitt, Leigh Hunt, Lord Byron, and Charles Lamb. In 1807 he organised the Whigs general election campaign and in 1810 entered parliament via the pocket borough of Camelford controlled by the Duke of Bedford, a Whig aristocrat. He played an important role in making participation in the slave trade a felony. In 1812 the Duke had to sell Camelford. Brougham stood as Whig candidate in Liverpool, a centre of the slave trade, but was defeated by Tory George Canning. In August 1812 he defended thirty-eight handloom weavers who had been arrested by Joseph Nadin, Deputy Constable of Manchester, while trying to form a trade union. Their leader John Knight was charged with “administering oaths to weavers pledging them to destroy steam looms” and the rest of the men were accused of attending a seditious meeting; all thirty-eight were acquitted. In 1815 via another pocket boorough, Winchelsea, owned by Lord Darlington, Brougham reentered the House of Commons. Brougham became the leading spokesman for the radicals. In 1819 Broughton blamed the Tory government and Manchester’s local magistrates for the Peterloo Massacre. He spoke out against the prison sentences imposed on Henry Hunt, John Knight, Samuel Bamford and the other organisers of the meeting at St. Peter’s Field. Brougham was actively involved in educational reform. 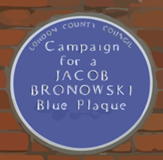 He supported the Ragged Schools Union, Mechanics Institutes and founded the Society for the Diffusion of Useful Knowledge (1825-1848), and was associated with the formation of the University of London, 1828. Brougham’s ideas on state-funded education were unpopular with the government and the education bills that he introduced to Parliament in 1820, 1835, 1837, 1838 and 1839 were all defeated. Brougham lost office after the defeat of the Whigs in 1834, but remained committed to further political reform and helped Melbourne’s government pass the Municipal Reform Bill in 1835. A strong believer in equal rights for women, Brougham also played an important role in the passing of the Matrimonial Causes Act in 1857.